58 miles away, wireless operator Harold Cottom aboard the Cunard Line's Carpathia, (pictured above) hears Titanic's distress call while getting ready for bed. of the Cunard liner Carpathia. Cottom writes down what he has heard from Titanic. He responds instantly and asks for Titanic's position. Then he runs to the bridge and informs First Officer Dean and then wakes Captain Rostron with the news. Meanwhile on Titanic, wireless operator Harold Bride informs Captain Smith that Carpathia has responded, that they are traveling at full speed, and that they will reach Titanic's location within 4 hours. 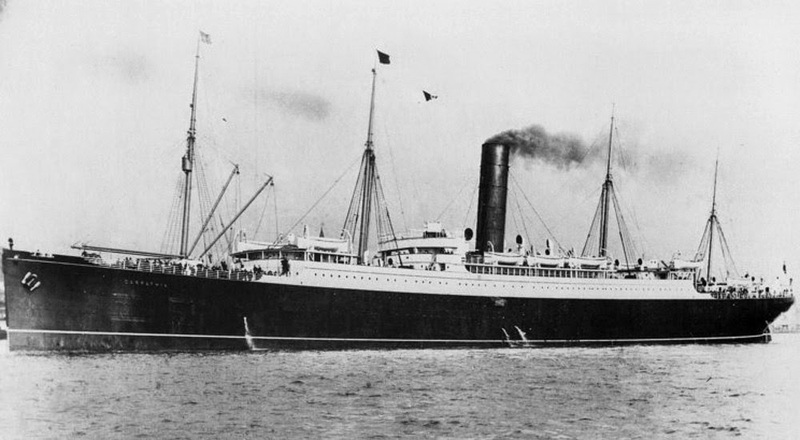 Smith is stunned that Carpathia is the only ship responding to their rescue. Titanic has at most 2 hours to live. 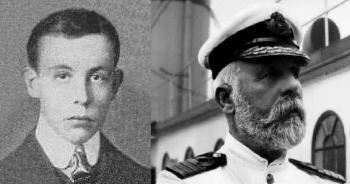 Wireless Operator Bride and Captain Smith of Titanic.